Simplicity is a simplistic resource pack designed to make your world look simple but quirky. Explore a new simple world! If you like simple things this pack is perfect for you! 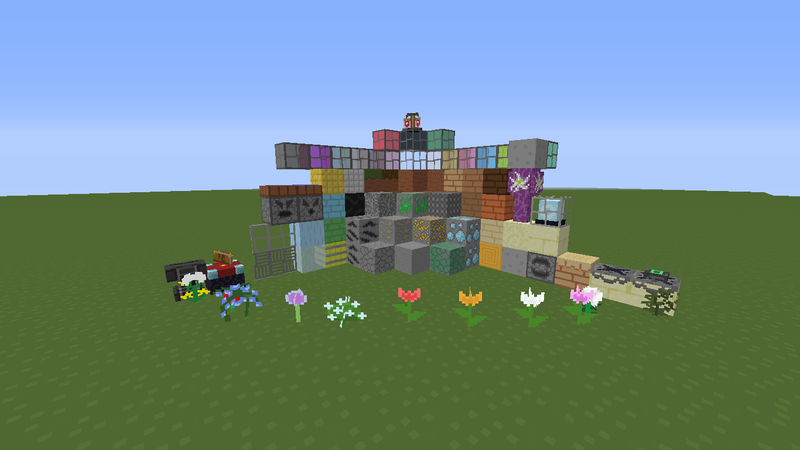 About half of the blocks in Minecraft have been textured and many more to come! My right out of the gate suggestion is to find a new name. There are literally dozens, if not hundreds of packs called Simplicitiy, and they're all pretty much the same. These simplistic packs always make me think of the concept/beginning stages of a real pack. To me these feel lacking. And as said above, there are hundreds of these. If you put a little extra detail into it beyond what the other simplistic packs put, you'll have something much better than what we have out there already and have a real chance. Note: This isn't intended to bash but help you reach your potential with the pack.